There is this question which was asked in my exam. Here, 1 column represents 1 possiblity. These are the possible combinations according to me in metaphase-I. Please tell me where am i wrong. PS : i would have loaded the picture of my solution but it ain't getting loaded. Sorry for any inconvenience. The correct answer is 8 as given by the formula 2n , where n is the number of chromosome in haploid cell. The photo here explain independent orientation in a cell having two chromosome pair. You can work this out for 3 chromosomal pair as well. As far as I can understand your doubt is that arrangement one is actually same as arrangement third ( with reference to the photo). Well, it might seem like this but if you look carefully the two non homologous chromosomes are arranged in different manner in them .. relative to each other and the homologous partner. And hence the whole arrangement is considered as different arrangements and not the same. 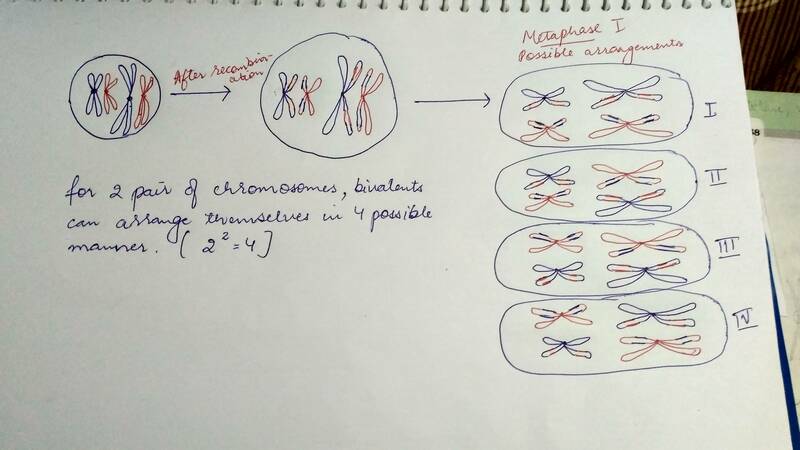 Thus, for 3 chromosomal pair, there are 8 possible arrangement of homologous chromosomes which could occur during metaphase-I. The answer would be 8. The best way to explain this would be by the formula for number of possible arrangements i.e. 2^n. As mentioned in the question, the cell is diploid with 6 chromosomes, which means that 2n = 6 implies n = 3. So number of possible arrangements = 2^3 = 2*2*2 = 8. The eight possible combinations are A1B1C1, A1B1C2, A1B2C1, A1B2C2, A2B1C1, A2B2C1, A2B1C2, A2B2C2. Not the answer you're looking for? 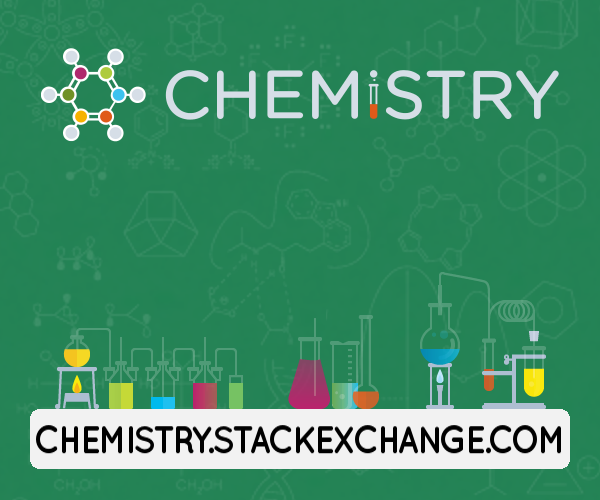 Browse other questions tagged genetics cell-biology or ask your own question. examples of chromosomal aberrations with lack of sexual chromosomes? Is a haploid essentially half of a homologous pair?